As a consultant, I frequently find myself in places where the on-boarding information for a new environment is incomplete or non-existent. 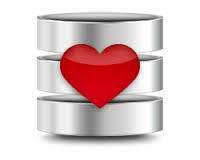 For Oracle environments, there are many tools available to obtain an initial review of a database server such as edb360 or OraChk. For SQL Server, there are probably many tools as well, but I wanted something light-weight and non-intrusive. Something that would give me a quick overview and maybe point out some trouble spots. This was my plan when I wrote the SQL Server Health Check script. This script allows someone new to the environment to get a quick snapshot of any existing SQL Server databases and their characteristics. There is emphasis placed on reviewing existing or absent backups as this should be the first area of concern for any incoming DBA. The script also briefly reviews waits in the environment, but does not go into more detail on particular performance characteristics. As this script evolves, a more in-depth review of performance will likely be included. The plan to keep this script non-intrusive may limit the scope of this review as well as others, though. Special thanks to Sam Sridharagopal from Avenade for his help in developing and testing this script. The script works on SQL Server versions 2005 through 2016 (CTP 2) and is best executed though SSMS. If you find the script useful or have improvement suggestions, please comment. –SQL Server 2005-2016 (CTP 2) server instance for the purpose of first-time review. When something goes wrong with your SQL Server database and you cannot connect, it may be necessary to place it in a mode better suited for troubleshooting. Two of these modes are single-user and minimal-configuration. This mode is used to change server configuration options or recover a damaged master database or other system database. Remove the –m startup parameter from the SQL Server advanced Properties (more on this process later under “Setting or removing a special startup mode in SQL Server”). Take the SQL Server service offline. This option starts an instance of SQL Server with minimal configuration. This is useful if the setting of a configuration value (for example, over-allocating memory) has prevented the server from starting. Starting SQL Server in minimal configuration mode places SQL Server in single-user mode. Log into the server hosting the SQL Server database or log into one of the nodes hosting the SQL Server cluster. Start the SQL Server Configuration Manager. If you do not see it under the SQL Server application group in the Start menu, execute “SQLSERVERMANAGER10.msc” from the Run command window for SQL Server 2008 or “SQLSERVERMANAGER11.msc” from the Run command window for SQL Server 2012. Select “SQL Server Services” in the left window pane and find the service called “SQL Server (instance)” in the right window pane where instance is the name given the named instance. Right-click on the service name and select Properties. In SQL Server 2012, the process is easy. Simply go to the Startup parameter tab, type in the desired parameter in the “specify a startup parameter” box and click Add. You can remove the parameter from “existing parameters” window under this tab and click Remove. In SQL Server 2008, go to the Advanced tab, and scroll-down to Startup parameters. Click on the values on the right and use the drop-down arrow to enable a small window to add or remove parameters. Those of us just getting our feet wet in the SQL Server pool should know about the different recovery models available as one of the first pieces of knowledge to set in stone. Since I am approaching this from the aspect of being experienced in the Oracle database environment, I will compare the SQL Server recovery models to their Oracle database analogs where applicable. Here we go! Simple Recovery Model – This model is like the Oracle noarchivelog mode. Transactions performed between backups are lost in the event of a failure and HA features such as mirroring or AlwaysOn cannot be used on a database with this recovery model. On the plus side, the log file is kept small and tidy. Full Recovery Model – Like the Oracle archivelog mode, this model will allow you to recover the database to the point of failure. However, it requires log backups, like archivelog backups in Oracle. Log backups should be executed in between full backups at an interval based on the amount of activity in the database and the rate of transaction log growth. Bulk-Logged Recovery Model – The recovery mode is like the Full recovery mode with the exception that it allows for minimal transaction logging during bulk-loading to increase performance during these operations. Log backups are also required with this recovery model.